Live and experience Greece the way it used to be and it is now. 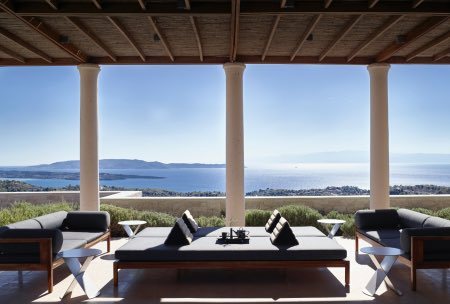 Villa Amanzoe (1 bedroom) is the perfect setting where you visit several archaeological sites, the islands of Spetses and Hydra including the beautiful town of Porto Heli. 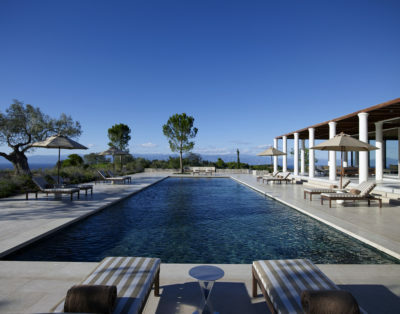 Amanzoe resort is unique as its installation and setting surrounded by olive groves overlooking the Aegean Sea makes it a one of a kind place in the world. The architecture is inspired classically and its cuisine offers a contemporary tradition, this combination creates a true authentic modern luxury experience. 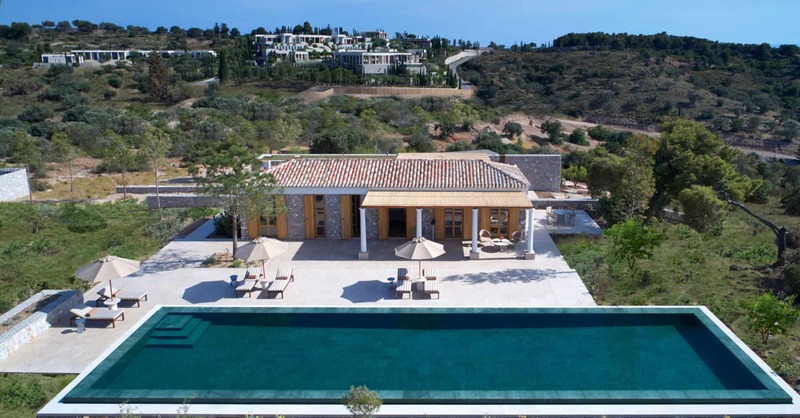 The 1 Bedroom villas at Amanzoe have their own heated pool (22 m). 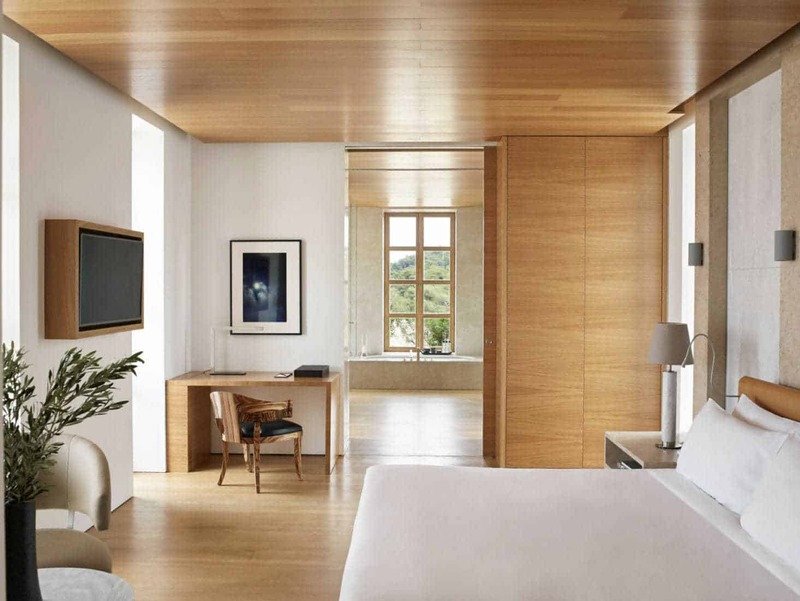 The one bedroom villa features an immersive art installation entitled ‘Sky Plain’ by world-renowned artist James Turrell. 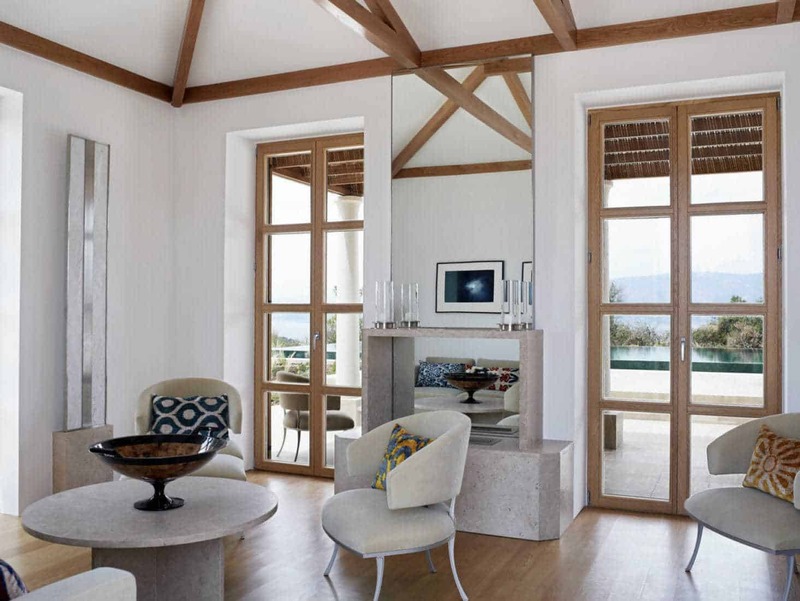 Known as a Skyspace, it takes the form of a cubic structure with a large ceiling aperture, open to the Peloponnese sky above Amanzoe. 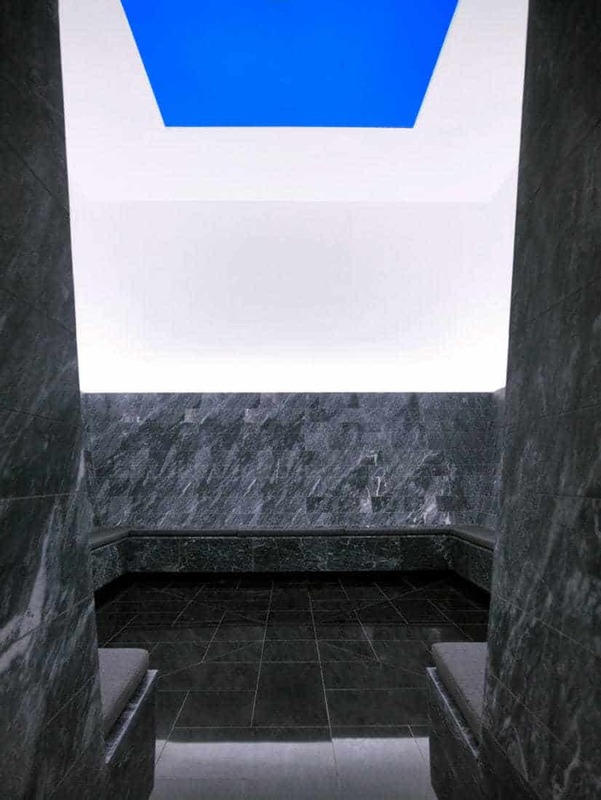 James Turrell stated “Without light, there is no life. 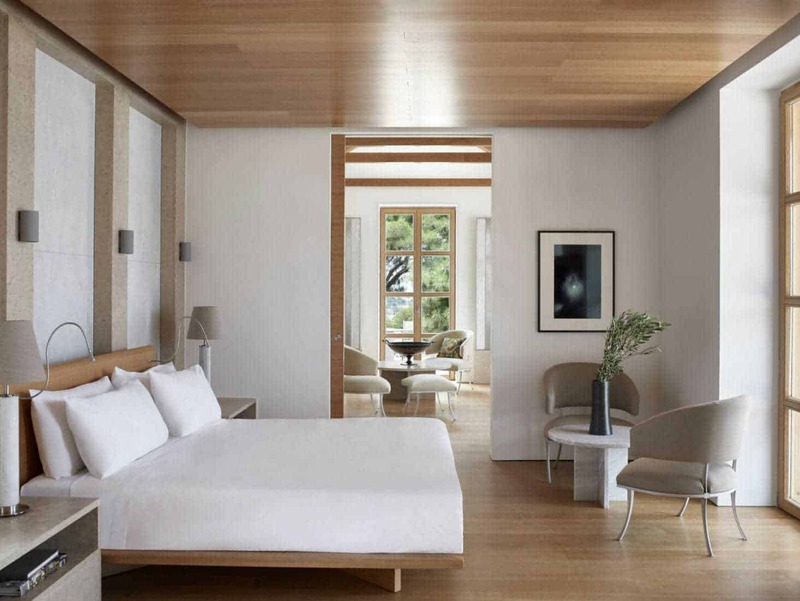 Amanzoe means ” peaceful life” and I hope those who experience this work will feel a peaceful sense of the power of the light, we are creatures of the light, especially sunlight. I use light to explore perception but I did not create the light. This work is about sharing the light”. 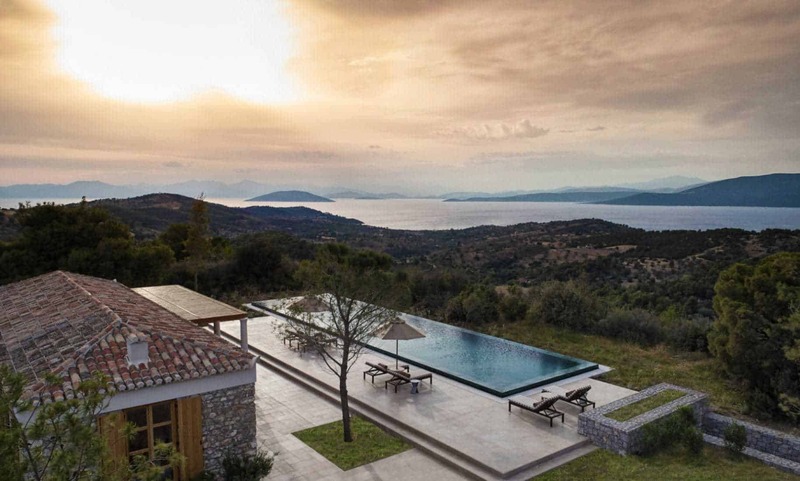 This feature is available at Villa 31 of Amanzoe, located on the Western ridge at the resort offers unobstructed views of the surrounding landscape and the Aegean Sea, featuring spectacular sunset. Sky Plain is the only permanent Turrell installation in the Mediterranean. At Villa 31 comprises a master bedroom, 22-meter private pool, kitchen, extensive shaded terraces and living room all set around a serene reflection pool. 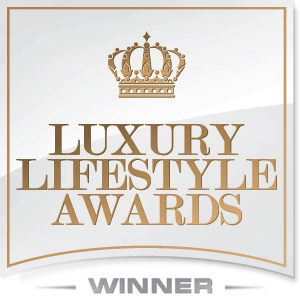 Porto Heli, situated in the rich agricultural region of Argolida, is a foodie paradise and locavore’s dream. It’s virtually impossible to have a bad meal. Much of the wine, cheese, fish, honey, olives, and olive oil comes from the surrounding region. Daily breakfast is provided, and the resort’s restaurant, beach club, and pool terrace are open for other meals. Guests have also access to the shared swimming pool. tennis courts, the gym, and yoga and Pilates studios. The shuttle to the Beach Club is complimentary. 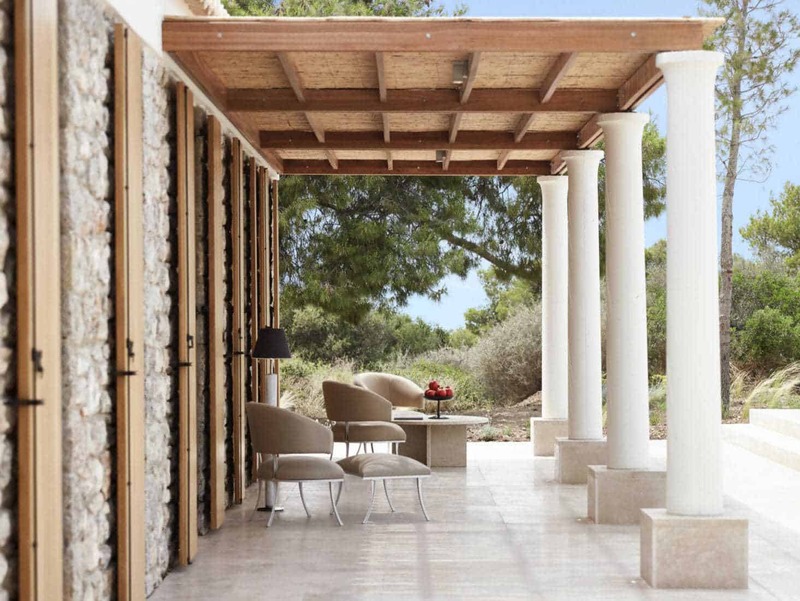 The villas at Amanzoe features the classic elements of Greek architecture in a new way. 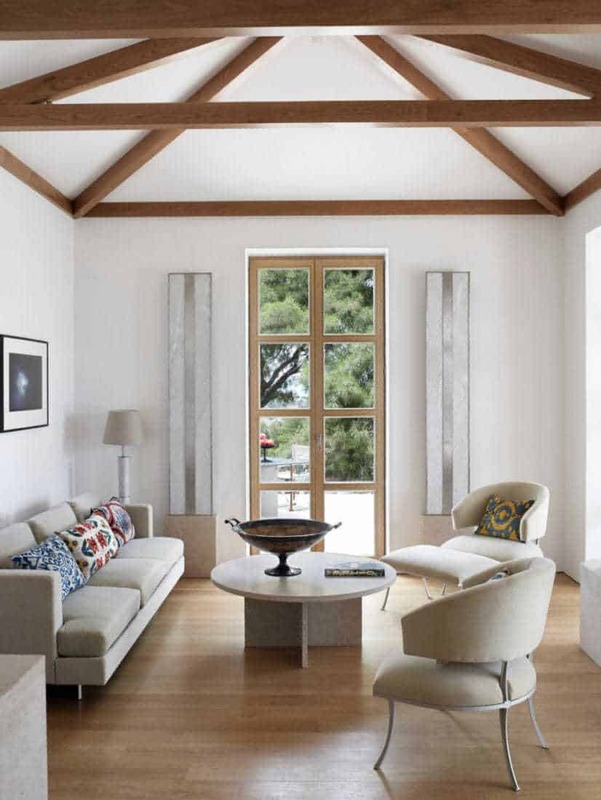 The relaxed balance is created by stone steps and terraces, high ceilings, and stately columns lend, beamed ceilings, rough-hewn stone walls, and open-plan living spaces. The kitchen is full-equipped and the dining area is outside. 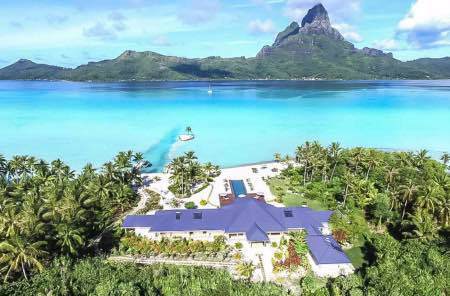 The villa features air conditioning and wi-fi. The bathroom is bright and boasts marble and wood. 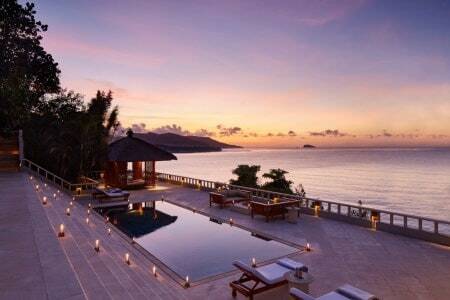 Enjoy the serene atmosphere at this beautiful and one of a kind resort. 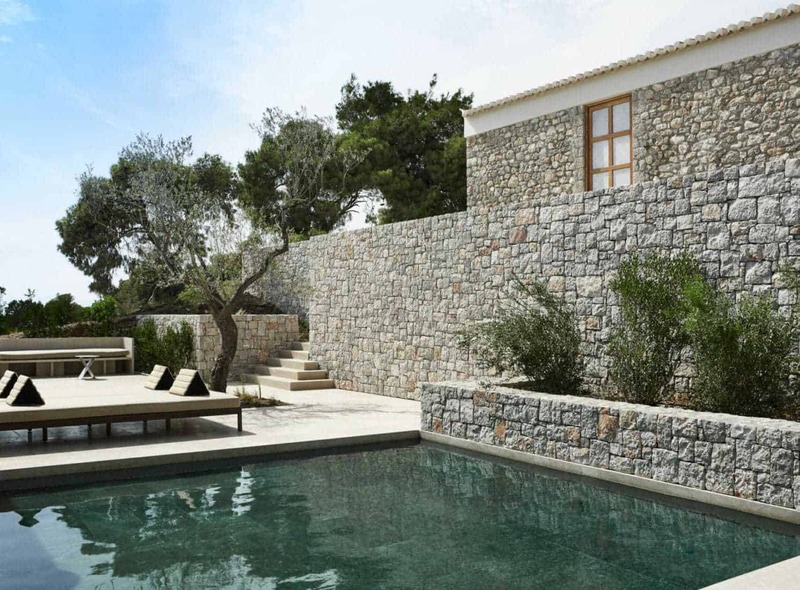 It is located 10 minutes from the tavernas in Porto Heli, 10 minutes by complimentary shuttle to the beach club and 20 minutes (15 by car, 5 by water taxi) to the island of Spetses. Not to miss a day visit to the ancient amphitheater at Epidavros.